Pljevlja (Montenegrin Cyrillic: Пљевља, pronounced [pʎêʋʎa]) is a town and the center of Pljevlja Municipality located in the northern part of Montenegro. The city lies at an altitude of 770 m (2,530 ft). In the Middle Ages, Pljevlja had been a crossroad of the important commercial roads and cultural streams, with important roads connecting the littoral with the Balkan interior. In 2011, the municipality of Pljevlja had a population of 30,786, while the city itself had a population of about 19,489. The municipality borders those of Žabljak, Bijelo Polje and Mojkovac in Montenegro, as well as the republics of Serbia and Bosnia and Herzegovina. With a total area of 1,346 km2 (520 sq mi), it is the third largest municipality in Montenegro. Pljevlja is the birthplace of Gojko Ružičić (14 March 1894 - 26 February 1977) a Serbian-American linguist, who lived and worked in the United States. He was a professor emeritus at Columbia University and contributed significantly to the development of Slavic studies in the United States. The first traces of human life in the region date between 50,000 and 40,000 BC, while reliable findings show that the Ćehotina River valley was inhabited no later than 30,000 BC. The oldest traces of human presence in the town area, a flint tool, had been found in the cave under Gospić Peak. The traces of settlements in the later stages of the Stone Age were found in two large archaeological sites called Mališina Stijena and Medena Stijena (around 10,000 stone tools and arms), dating to 12,000–8,000 BC. During the Bronze and Iron Age, since around 2,000 BC up until the Roman conquests, a large number of necropolises with tumuli, as well as fortified settlements rose along the Ćehotina valley, especially around villages of Mataruge, Kakmuža, Hoćevina and Gotovuša. The tumuli found in Ljutići, Gotovuša and Borovica have been archeologically researched. The first attested tribe in the region was called the Pirustae, an Illyrian Pannonian tribe, existed until the Roman invasion in the 1st century AD. The Romans had a town built on the ruins of their town, and it was called Municipium S, located in the Komini neighbourhood. Within the borders of present-day Montenegro, Municipium S is believed to have been the second largest town after Doclea. It was a large trade– and religious center of the Roman province of Dalmatia. A large number of valuable objects including jewellery pieces, glass vases and pottery have been found. The most valuable object is the diatreta or cage cup, a glass vase trimmed with blue glass threads which is considered to be priceless. In the Middle Ages, the region of Pljevlja was also a part of nucleus of the Serbian state under the Nemanjić dynasty, until the end of the rule of the Emperor Stefan Dušan. After his death, Pljevlja was under the rule of Serbian autonomous rulers Vojislav Vojinović and Nikola Altomanović. After the defeat of Altomanović 1373 by the joint forces of Serbian lord Lazar Hrebeljanović and Bosnian Ban Tvrtko I, the region of Pljevlja became part of the eastern section of the Kingdom of Bosnia, subsequently part of Sandalj Hranić's province and later the Duchy of Saint Sava. Pljevlja was located within the Ottoman Sanjak of Novi Pazar. In 1880 the town became the capital of the Pljevaljski Sanjak (Sanjak of Taşlıca) of the Ottoman Empire, which existed until the First Balkan War in 1912. In 1465, the Ottoman Empire conquered Pljevlja. During the Ottoman offensive, the fortress of Kukanj, the residence of Stjepan Vukčić Kosača, was destroyed. Fearing an onslaught, many merchants, almost all feudal land owners and wealthier population fled from Pljevlja, seeking refuge in the Republic of Venice, Republic of Ragusa, or further north into the Kingdom of Hungary or Austrian Empire. In Turkish, the town was known as Taşlıca ("rocky"). In the Ottoman defter (census book) of 1475/76, the majority of local inhabitants were Eastern Orthodox Christian, numbering some 101 households. The town was expanded into a kasaba, a larger Ottoman city without a fortress. The 15th and 16th centuries were a period of much construction in the city: in 1465 the Holy Trinity Monastery was founded, in 1569 Husein-paša's mosque was built and during the 16th century the city got a sewage system. When the center of Sanjak of Herzegovina was moved to Pljevlja from Foča in 1572, the city started to change rapidly: urban housing increased: 72 houses in 1468, 150 in 1516, 300 in 1570; in the 17th century Pljevlja had around 650 houses in the city center and over 400 in the surrounding area. The first Muslim religious school (madrasa), was built in the 17th century; water-works were constructed in the 18th century. The Russian consul visited Pljevlja in the 19th century and wrote that Pljevlja was a very beautiful oriental city with gardens and fountains, mosques and churches and over 800 houses in the city center (7,000 citizens) which made Pljevlja the second largest city in the Herzegovina Sanjak besides Mostar. After two big fires that burned the city center to the ground, the city's economy was ruined. That was the reason for displacing the center of Herzegovina to Mostar in 1833. After 1833 the city stagnated in both an economic and cultural sense. In 1875, after a failed uprising, mass emigration took place around Pljevlja in the direction of Užice, Valjevo and the Drina river basin. As a result of the Congress of Berlin in 1878, Pljevlja and the rest of the Sandžak region were given to Austria-Hungary, interrupting Ottoman rule in the area for the first time in four centuries. However, by 1879, a special convention between Austria-Hungary and Ottoman Empire transferred western parts of the Sanjak of Novi Pazar into dual jurisdiction between Austria-Hungary and the Ottoman Empire. In 1880, Pljevlja was named the capital of the newly formed Sanjak of Pljevlja (in Turkish: Taşlıca Sancağı). Administration remained in Turkish hands, with Austro-Hungarian military presence in the cities of Pljevlja, Prijepolje and Priboj. Some 5,000 Austro-Hungarian soldiers and their families came to Pljevlja. As a result, Austro-Hungarian businesses expanded in Pljevlja; the first modern drug store was opened in 1879, a photo store in 1892, and a hospital in 1880. The Austro-Hungarian Army built the first brewery in Pljevlja in 1889. The Pljevlja brewery's annual production was limited to 2,000 hectoliters, and demand was greater than what the brewery could produce. As a result, the Austro-Hungarian garrison in Pljevlja consumed most of the beer produced there. In 1901, the Pljevlja Gymnasium was built by the Serbian Orthodox Church, with the approval of the Ottoman administration. As a result of the Bosnian crisis, Austria-Hungary withdrew its forces from Pljevlja in 1908. From 1908 to 1912, Pljevlja remained under Ottoman control. On October 8, 1912, Montenegro was the first of the Balkan states to declare war on the Ottoman Empire, starting the First Balkan War. As a result, territories with significant populations of Serbs and Montenegrins were subject to conflict between the Ottoman occupation and incoming armies of Serbia and Montenegro. This was particularly the case with Sandžak, in which Pljevlja had been wedged in an Ottoman Sanjak between Montenegro and Serbia. By October 28, 1912, Ottoman forces had been completely removed from Pljevlja when the Royal Serbian Army's Javorska brigade arrived, which was accompanied by 150 soldiers from Montenegro. With the departure of Ottoman forces, Montenegro and Serbia eliminated the Ottoman "wedge" in the Sandžak and now shared a border. On November 13, 1913, a formal border agreement between Serbia and Montenegro was signed by Serbian general Miloš Božanović and Montenegro's Minister of Education and Religious Affairs, Mirko Mijušković. As a result of this agreement, Pljevlja was formally incorporated into the Kingdom of Montenegro. From 1929 to 1941, Pljevlja was part of the Zeta Banovina of the Kingdom of Yugoslavia. At the beginning of the Second World War Pljevlja, like the rest of Sandžak, was occupied by NDH Ustaše forces. Notable Muslims from Pljevlja, Bijelo Polje and Prijepolje wrote to Pavelić and expressed their loyalty to the Independent State of Croatia allegedly in the name of all Muslims of Sandjak. By September 1941 Ustaše left Sandžak which was occupied by Italian forces within Italian governorate of Montenegro. The Battle of Pljevlja, fought on 1 December 1941 between attacking Partisans and the Italian Pljevlja garrison, was the biggest battle of the Uprising in Montenegro. In April 1942 Italians established a battalion of Sandžak Muslim militia in Metaljka, near Čajniče, composed of about 500 Muslims from villages around Pljevlja and Čajniče. A little later a command post of Sandžak Muslim militia was established in Bukovica, near Pljevlja. Since the end of 1943 Pljevlja belonged to the German occupied territory of Montenegro and after the war to Yugoslav Socialist Republic of Montenegro. During the breakup of Yugoslavia, Pljevlja was the site of intense tension, with its Muslim community subject to intimidation and violence. On August 6, 1992, a local warlord named Milika "Čeko" Dačević walked into Pljevlja's police headquarters to ask that a vehicle which was seized be returned to his personal envoy, threatening to "declare war" on Pljevlja. Over half of the police force turned themselves over to Dačević during his custody in what was essentially a coup d'etat on a municipal level. In addition to the stand-off with Dačević, his militia included forces of the Kornjača brothers from Čajniče, who helped blocked off the town from a garrison of the Yugoslav People's Army. Duško Kornjača threatened to kill all of the Muslims in Pljevlja unless Dačević was released. The militia's control over Pljevlja was strong enough that the Yugoslav People's Army garrison in Pljevlja, composed of only 73 soldiers, refused to confront them. On August 7, 1992, Momir Bulatović and Yugoslav President Dobrica Ćosić came to Pljevlja to negotiate with all parties involved. As a result, Bulatović along with Ćosić promised the Islamic community in Pljevlja that they would attempt to disarm the paramilitaries and add reinforcements of the Yugoslav People's Army to patrol the town. To satisfy the militia, Bulatović and Ćosić asked the local Muslims not to seek autonomy, although they had not done so over the course of the meeting. In spite of the resolution, Pljevlja's Muslim community suffered various incidents up to 1995, particularly in the village of Bukovica where 6 Muslim inhabitants were killed from 1992 onwards. In 2008, some members of the municipal assembly of Pljevlja threatened a secession from Montenegro following the Montenegrin recognition of Kosovo. The city lies at an altitude of 770 m (2,530 ft). The municipality borders those of Žabljak, Bijelo Polje and Mojkovac in Montenegro, as well as the republics of Serbia and Bosnia and Herzegovina. 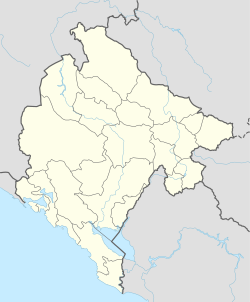 With a total area of 1,346 km2 (520 sq mi), it is the third largest municipality in Montenegro. Culture and education are all present throughout history of Pljevlja and its region. The first educational life,churches and monasteries,as well as in the mosques some time later. The Holy Trinity Monastery (Pljevlja) is the richest treasury of cultural and spiritual life of the Orthodox Serbs from the Middle Ages to the present times. The school in the Holy Trinity Monastery has been working continuously since the 16th century. In 1823, a primary school in Pljevlja started working. The school in Dovolja monastery worked since the 18th century. The very important date in the history of education in Pljevlja is the opening of the Pljevaljska Gymnasium in 1901. The Heritage Museum Pljevlja is a treasure trove of rich historical and cultural heritage of the city and region. Pljevlja is also one of the main economic engines of Montenegro. The only thermal power plant in Montenegro, which provides 45% of the electric power supply for Montenegro, is situated outside Pljevlja as well as the biggest coal mine with 100% of the coal production in Montenegro. Zinc and lead can be found in Šuplja stijena mine. The richest municipality with forest in Montenegro is Pljevlja and its lumber industry. Agriculture is widespread in the whole municipality. Pljevaljski sir (Pljevlja's cheese, from Пљеваљски сир) is considered a delicacy. Pljevlja is the administrative center of Pljevlja municipality, which has a population of 35,806. The town of Pljevlja itself has 19,136 citizens, and is the only town in the municipality with a population of over 1,000. The municipality has a majority of Serbs. The coat of arms of Pljevlja has three lines near the bottom that represents the three rivers that run through the cities: Breznica, Ćehotina, and Vezičnica. First layer is clock tower from the center of Pljevlja and in the back are town-hall and the largest arc of bridge over Tara river which connects municipality of Pljevlja with the rest of the Montenegro. Colours are blue, red and white which represent the pan-Slavic tricolour system. Proportion of the flag is 2:1 divided in 3 stripes, 2/5 at the top are sky blue, one in the middle is black and 2/5 at the bottom are white. Flag of city of Pljevlja was inspired by the old proverb: "Out of chaos comes beauty". It represents the city being covered by the dense fog and the view of it from the surrounding hills, as seen in the picture. Narrow black stip represents the distant mountains dividing the clear blue sky and the invisible city under the dense fog. ^ https://lib.ugent.be/en/catalog/rug01:001632016, Xenia Slavica: Papers presented to Gojko Ružičić on the occasion of his seventy-fifth birthday, 2 February 1969. Gojko Ružičić (14 March 1894 to 26 February 1977) a Serbian-American linguist, who lived and worked in the United States. He was a professor emeritus at Columbia University and contributed significantly to the development of Slavic studies in the United States. ^ Jovan Cvijić, Balkansko poluostrvo i južnoslovenske zemlje, Belgrade: Zavod za izdavanje udžbenika, 1966, pp. 151-152. ^ a b c Goran Malidžan (March 10, 2013). "Od "pljevaljskog" ne ostade ni pjena". Vijesti (in Serbian). Retrieved March 2, 2019. ^ a b Adnan Prekić (December 12, 2012). "Politika Crne Gore u pljevaljskom kraju 1912/13 godine u izvještajima ministarstava Kraljevine Crne Gore" (in Serbian). Retrieved March 2, 2019. ^ Knežević, Danilo (1969). Prilog u krvi: Pljevlja 1941-1945. Opštinski odbor SUBNOR-a. ^ a b c d "Kako su se paravojne jedinice otele kontroli". e-novine (in Serbian). May 20, 2011. Retrieved February 12, 2019. ^ a b c d K. Radević (September 27, 2010). "CRNOGORSKI ZLOČIN - BULATOVIĆ: PITAO SAM MILA O ČEMU SE RADI". Bošnjaci.net (in Bosnian). Retrieved February 12, 2019. ^ a b Morrison 2009, p. 120. ^ a b Morrison 2009, p. 121. ^ Jakub Durgut (February 18, 2017). "Zločini bez kazne" (in Serbian). Danas. Retrieved February 12, 2019. ^ Скупштина Црне Горе о демонстрацијама (in Serbian). Rts.rs. 2008-10-15. Retrieved 2010-04-28. ^ "Climate: Pljevlja". Hydrological and Meteorological Service of Montenegro. Retrieved May 28, 2018. Morrison, Kenneth (2009). Nationalism, Identity and Statehood in Post-Yugoslav Montenegro. London: I.B. Tauris & Co Ltd. ISBN 978-1-84511-710-8. Wikimedia Commons has media related to Pljevlja.